Discussion in 'Painting and Converting' started by Karnus, Feb 11, 2019. Lord Agragax of Lunaxoatl and LizardWizard like this. Ehh... not my style honestly. I should be able to restore them! Lord Agragax of Lunaxoatl, Cageyblood, LizardWizard and 1 other person like this. I think that will work. I don’t really like the helmets with Viking horns on them, I may not use them and just have all as the one on the right. Lord Agragax of Lunaxoatl, Aginor and LizardWizard like this. I say leave the horns off. Lord Agragax of Lunaxoatl and Karnus like this. 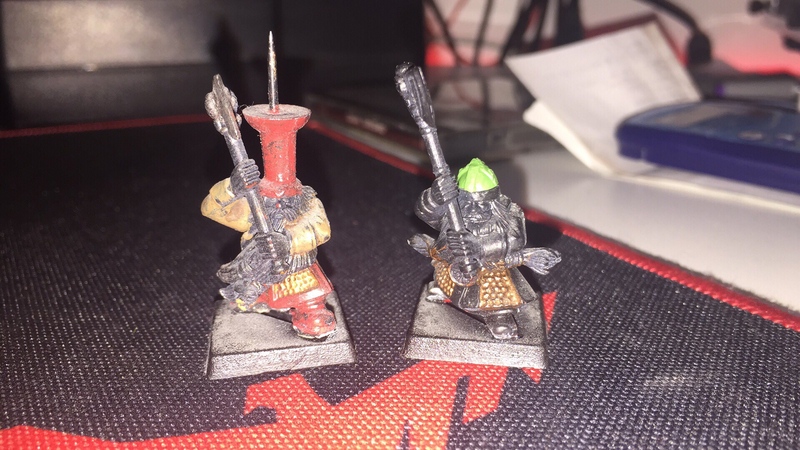 I honestly love that idea of using drawing pins as Persian/Babylonian Chaos Dwarf hats (principally because it’s so easy to do , although I would cut the pins themselves off the holders), but honestly it is also nice to see them being returned to their true Dawi selves. I like my Dwarfs either with horned or non-horned helmets myself - I don’t think it really matters. 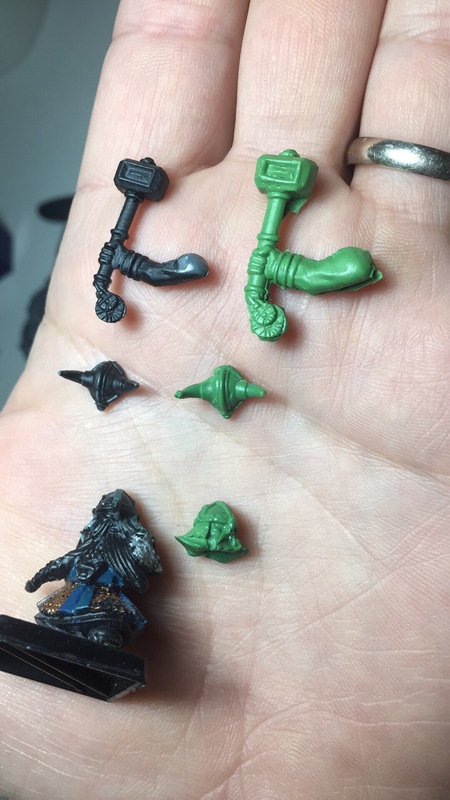 I always love buying old second-hand models too - a few months back I found about 20 old Night Goblins (some from the older plastic kit, others way back from the 4th Edition boxed game) and some of the 5th Edition Saurus and Skinks, and will be working on getting those built up and restored at some point (as soon as I’ve finished my 6th Edition and beyond Saurus Warriors).